There is a natural tendency in self-involved political and media circles in Washington to think of the day’s big preoccupations as being interrelated. 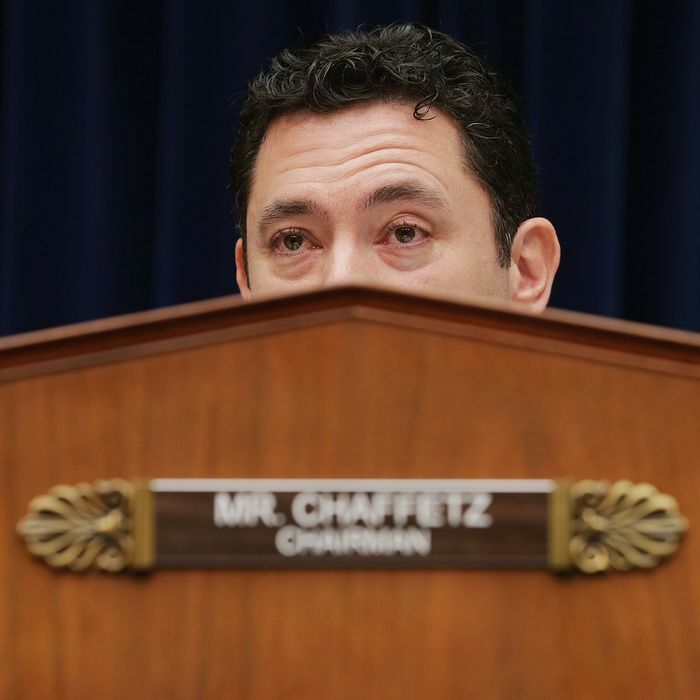 So when news came that House Oversight Committee chairman, Utah representative Jason Chaffetz, was resigning his seat at the end of next month, it was easy to wonder if it had something to do with the past week’s swirling scandals and proliferating investigations. Chaffetz had, after all, just announced he had invited James Comey to testify next week about the purported memo recording his discussion with the president. Had something gone awry? Was Comey refusing to testify? Did the appointment of a special prosecutor take the wind out of Chaffetz’s investigatory sails? We may never know for sure, but the odds are high that Chaffetz was planning to resign his seat all along after his announcement last month that he would not be running for a sixth House term in 2018. Indeed, there was considerable speculation at the time that he would leave Congress the minute his next gig — rumored widely to be with Fox News or perhaps some other media outlet — was lined up. The most likely explanation is that a contract has been signed and we will soon learn where we can keep up with Chaffetz’s self-promoting antics. This is not to say that the current climate in Washington might not have influenced the extremely ambitious Chaffetz to seek a change of scenery. As Stephanie Mencimer noted in a long profile of the man last month, the unexpected election of Donald Trump as president last November spoiled Chaffetz’s plan to spend a delightful year or two savaging Hillary Clinton and her administration before figuring out his next step up the political ladder. Exercising “oversight” when one’s own party controls the White House and Congress is a much trickier job, and it’s likely Chaffetz has been looking for a way out since November 8. He reportedly is interested in running for governor of Utah in 2020, so he’s got some time to burn. Beaming his image over the air to a national (and Utah!) audience is not a bad way to spend it. Maybe Jason Chaffetz has just made too many enemies in Washington to stick around much longer. If so, he’ll likely soon be popping up on their television screens.